From the marsh, follow River Road back towards Route 202 and you will approach the Raritan-Readington South Branch Historic District. This area, also known as Rockefellows Mills, is an antique neighborhood comprised of homesteads settled in the early 1700s. There are ancient gravestones along the road across a pretty little bridge, a small falls, and usually a fisherman or two working the pool. The confluence of the North and South Branch at Bridgewater. Continue on River Road to where it meets Route 202 at the Northlandz indoor model railroad, stage for "some of the finest scenery in America, all under one roof." The attraction's location here is perfectly appropriate, the latest in a long series of South Branch affiliations with trains, tracks, and bridges. 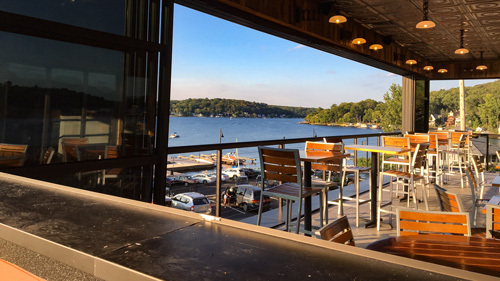 Leave Northlandz and enjoy some fine American scenery along the river as it proceeds through villages heavy in history; not the dry stuff of dusty textbooks, rather the lore and legend of your next-door neighbors. Cross Route 202 and follow Dory Dilts Road to Route 613. A left turn here leads back to the river at Three Bridges and another Hunterdon County Park facility called the South Branch Nature Preserve Section. 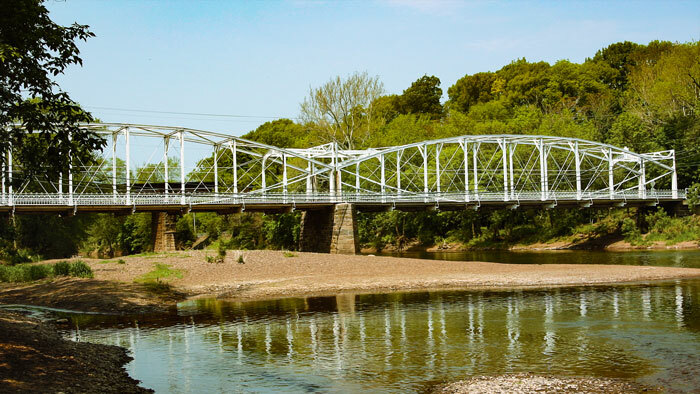 There are trails, a picnic area and another nice spot for fishing accompanied by a bridge. The old railroad town lies on the other side, full of stately homes built in the nineteenth century. The water begins to spread across wider ranges of farmland and meadows as it approaches the Higginsville Road bridges that span the river between Hunterdon and Somerset Counties. These gleaming yellow, wrought-iron beauties were cast in 1890 by the Milliken Brothers of New York, and in 1893 by the Wrought Iron Bridge Company of Canton, Ohio. The bridges are known among engineers for their use of something called a Pratt truss, which slants its diagonal members (except for the ends) all down and in towards the center of the span. For non-engineers the bridges have been known for one-hundred years of beauty. And, yes, for fishermen, the bridges are known to be a spot where big ones tend to congregate. 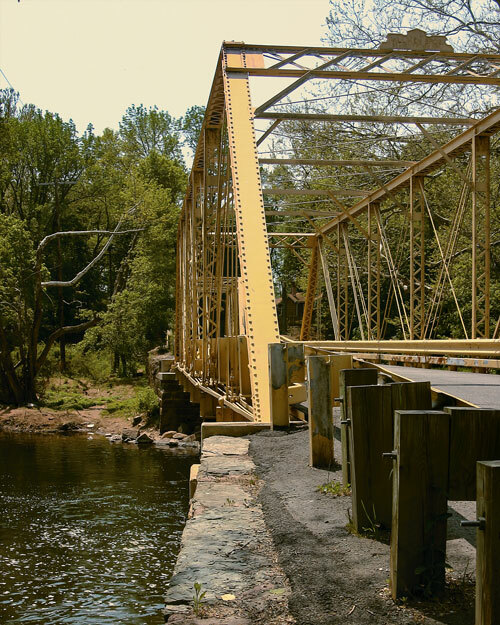 The bridge is out at Woodfern Road, so continue to Black Point Road where the Neshanic River joins the parade, delivering water from the southwestern corner of the Raritan basin in Delaware and Amwell Townships. Along this stretch there are signs identifying the area as "future open space"; acquisitions that have been made by Somerset County as part of the South Branch Greenway initiative. A continuous greenway will eventually extend from the Hunterdon County border all the way to the South Branch's confluence with the main branch at Bridgewater. Once significant acquisitions have been made, the Somerset Park Commission will begin a long process of developing a trail system and other appropriate passive recreational activities along the greenway. For many, the most memorable point along that nine-mile stretch of river would be at Neshanic Station. It's hard to escape this little town without feeling like you've passed through another zone; not quite twilight, but something definitely different, even while perfectly in place. Although it seems light years away from the maze of industry at Raritan Bay, you begin to understand the link. You can almost feel the buzz of Neshanic's heyday, smell the barnyards and mills, and hear the trains. 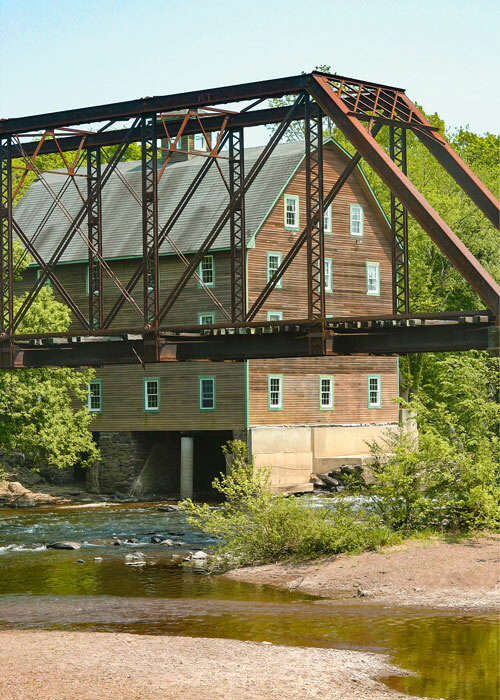 Two hulking rail trusses cross the river on either side of another classic wrought-iron vehicular bridge built in the early 1890s by the Berlin Bridge Company. The truss here is termed "lenticular" because of the convex curves of the chords. The trusses were made deepest in the middle where the greatest strength was required, and therefore considered economical in their use of iron. But it could be that the design's handsome profile was more important for Berlin agents when convincing local officials of their product's superiority. The Berlin Bridge casts a distinctive over the South Branch at Neshanic Station. Cross Berlin's bridge and turn left on yet another River Road that soon crosses the water again. The horizon expands into land long occupied by farms and horses. In the late 1990s, the Somerset County Park Commission identified several contiguous tracts here, which had already been acquired in order to protect them from high-density development, and began plans for development of a 36-hole public golf course. The Neshanic Valley Golf Course is the impressive result, the first golf course project in the state to require watershed management approval. Diligent environmental planning and engineering by the Commission's consultant, the RBA Group, eventually led to the issuance of all required permits and approvals, including NJDEP wetlands and transition area general permits, watershed management approval, water allocation, freshwater wetlands, stream encroachment, wastewater management plan amendment, treatment works approvals, NJPDES discharge to groundwater, and soil erosion certification. Detailed chronological histories were prepared for each of the former farmsteads, and it was determined that the Van Camp farmstead, built in the 1830s and consisting of a house, Dutch barn, and wagon house, would be preserved. Because it proved infeasible to leave them in their original location, the buildings were relocated to the edge of the property. Whether golfers know or care about the tedious preparation that precluded the course's opening, enthusiasts are already touting it as among the best public courses in the state. 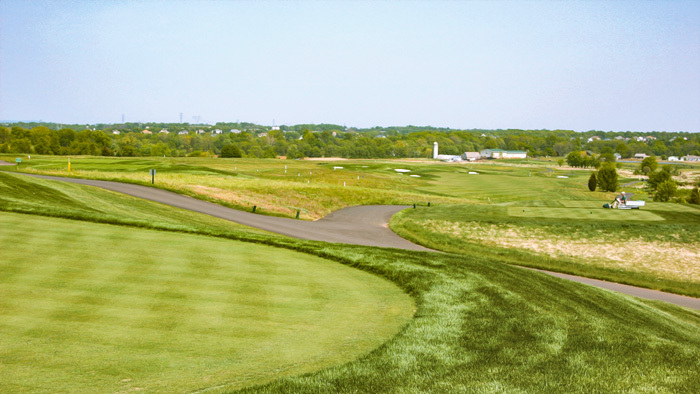 The upscale facility, which includes a 12,000 square foot clubhouse, offers a layout that accommodates a range of players, from rank beginners to weekend hackers to professional golfers. The river continues through luxuriant farm country, arriving at historic South Branch (the town) and a 300 acre historic district so designated for an abundance of Greek Revival, Italiante, and Federal style exponents of architectural fashions from the eighteenth, nineteenth and early twentieth centuries. The river then joins its partner from the north to form the main stem. Just after that union, the Raritan enters Duke Island Park where it is thoroughly enjoyed by hundreds of people every day. In September, 1960, the park, named in honor of Doris Duke whose interest and contributions greatly aided its completion, was formally dedicated, becoming the Somerset's first picnic and recreational facility. Today Duke Island Park consists of over 330 acres and features a visitor's center, picnic areas, paved bikeway and walking trail, open fields, playground and bandshell, stage for the annual Summer Concert Series. Of particular interest is the former Raritan Water Power Company canal, a three mile stretch from the westernmost part of the park, where the Raritan feeds the canal to its current terminus at the spillway back into the river in Raritan Borough. 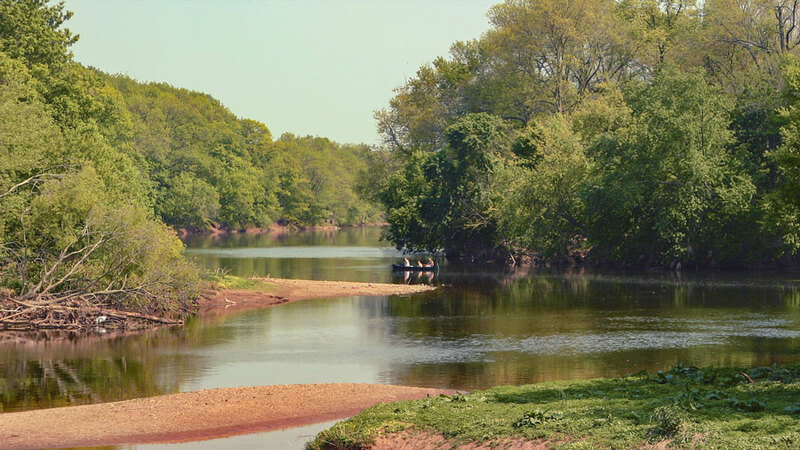 Originally built to supply power to the mills in Raritan, the canal now flows gently under a canopy of trees and can be used for canoeing and fishing. The canal property was conveyed to Somerset County in 1961 by the Raritan Water Power Company, of which Doris Duke was a majority stockholder. A filter house (above) built just beyond the Nevius Street bridge in Raritan was part of an elaborate system to supply power and water for a chain of lakes, fountains and streams at Duke Farms (below). 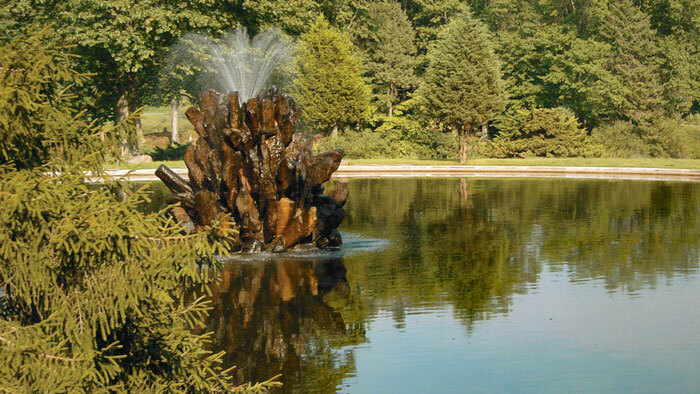 In the late 1890s, Doris Duke's father, tobacco tycoon James Buchanan Duke acquired control of the Raritan Water Power Company, partly to supply a chain of lakes, cascades, fountains and streams on his estate. Duke built a 2 million gallon reservoir from which water was drawn for his landscaping projects and to irrigate his farm. A power house was erected with three turbines, one devoted to Duke Farms. In 1901 Duke constructed a stone dam near the Nevius Street Bridge where the water canal enters Raritan Borough. Ostensibly created for aesthetic and recreational purposes, the dam also foreshadowed Duke's future enterprise in North Carolina where he would supply hydroelectric power for a large chunk his home state. When Duke's conscription of the Raritan began to threaten the water supply for downriver towns and businesses, engineer Louis Gaston created an elaborate system, powered by the canal, to re-circulate water piped to the estate. Part of the cutting-edge infrastructure for J.B. Duke's private watershed still stands just as the canal passes under the Nevius Street Bridge, built by the same Wrought Iron Bridge Company that did business back at Higginsville Road. 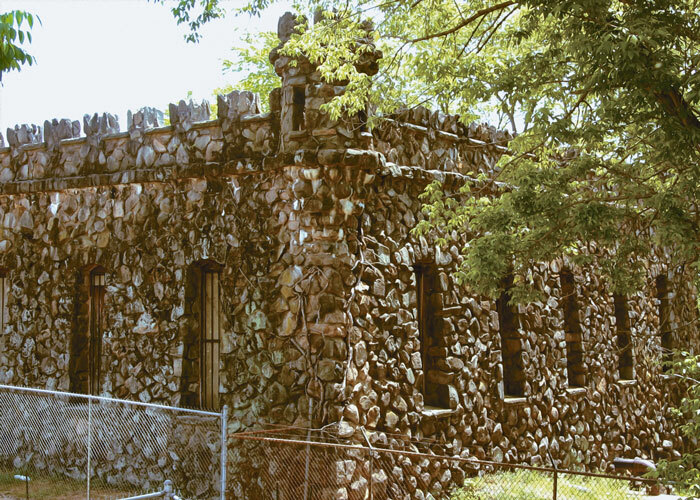 This filter house, bearing strong resemblance to a stone castle, was completed in 1909. Most of the remainder of Duke's magnificent creation is available for public view via guided tours through the estate's core 700 acres. Here you can see first-hand how this man-made landscape; adorned with historic buildings, lakes, woodlands, sculptures, waterfalls, ornamental horticulture and magnificent champion trees has evolved over the last 100 years into a sanctuary for wildlife; and refuge for memories of an elegant and opulent era.